It's been a busy winter season here in Lancaster County for the Authentic Bed and Breakfasts. Most of the inns are currently shoveling themselves out of the massive snowstorm Jonas. 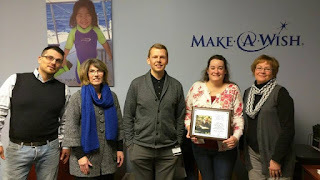 But most importantly, our Belsnickle Tour, which took place before the holidays, raised an amazing $4,000 for the Make-A-Wish Foundation. A big thank you to all who contributed and made this donation possible. Authentic Bed and Breakfast presents a check to Make-A-Wish. As we drudge through this winter, we look forward to love blossoming over Valentine's Day weekend. We've put together a nice little list of unique and fun events taking place over the holiday for you and your loved one to enjoy. So ditch the obligatory dinner and flowers and check out some of these cool events. 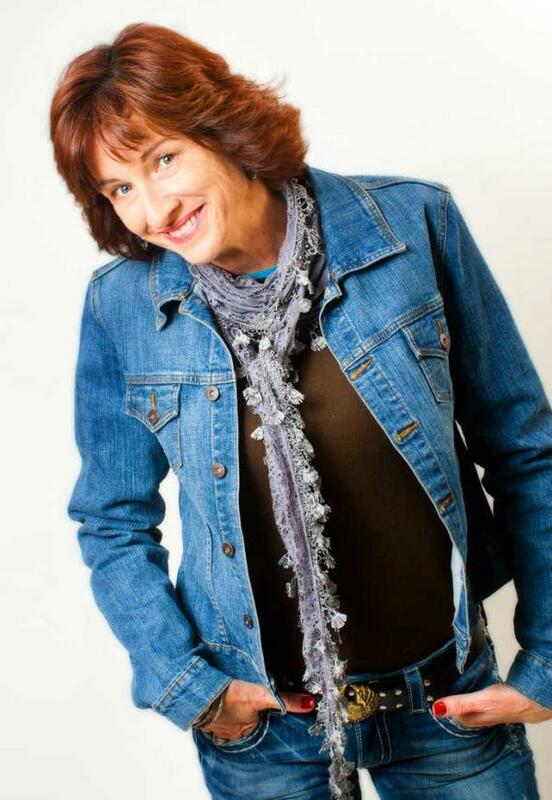 If you enjoy a good laugh, check out Julie Scoggins and John Lavarone at Stitches Comedy Club February 12 and 13. Scoggins is best known for her blue-collar comedy. She premiered on Last Comic Standing and can also be heard on XM Sirius Blue Collar Radio. A good laugh is always a good gift for the ones you love. Visit Stitches website for ticket and time information. Julie Scoggins at Stitches Comedy Club. Magic is in the air at The American Music Theatre as it welcomes the Masters of Illusion: Believe the Impossible Tour. Guests will be amazed at the levitating, vanishing, escapes and more during this award-winning show. The show is all live, with no camera tricks, or computer graphics. For more information, visit American Music Theatre's website. 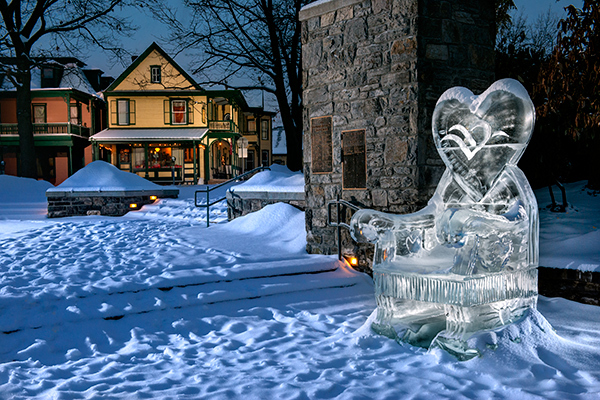 Spend the weekend strolling through beautiful downtown Lititz during its Fire & Ice Festival. Guests can marvel over the beautiful ice sculptures, enjoy a party in the park, food, games and live entertainment. Warm up at the indoor winter wonderland, chili cook off and indoor vendor fair. This year, celebrity guest judge, Jon Gosselin will be judging. Be sure to purchase buttons for this popular event. One event that has gained quite a bit of popularity are painting dates. That Shuu Girl, located in downtown Lancaster, is hosting a Valentine's Day painting party complete with drinks and Hors D'eouvres. The ladies can also enjoy some boutique shopping. If music is the way to your loved one's heart, be sure to check out VOCES8 at The Trust Performing Arts Center on February 13 and 14. The eight-piece British ensemble is quickly growing in popularity, touring Asia, Europe and North America. For tickets and more information, visit the center's website. VOCES8 performs at The Trust Performing Arts Center. Of course no Valentine's Day is complete without chocolate. The Lancaster County Park's Environmental Center will host a Chocolatology and Candle event on February 13. Join naturalist Onnolee Jansen for an afternoon of hand crafting candles and learning the science behind chocolate. Guests will learn about the process of creating chocolate and get to sample some confections and create a natural bees' wax candle. Turn the holiday into a weekend and book a room at one of our many romantic inns at www.authenticbandb.com. For a full list of events in the Lancaster area, check out www.discoverlancaster.com.